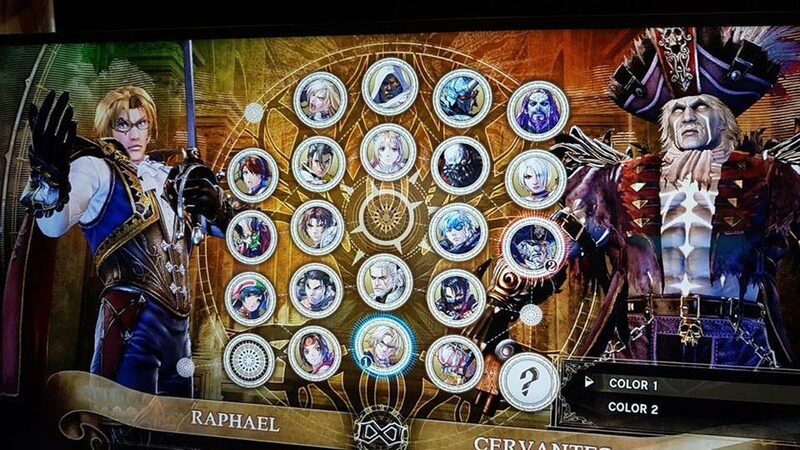 Screenshots of Soulcalibur VI from a recent esports event in Melbourne, Australia, appear to show Cervantes and Raphael as playable characters. Unfortunately, however, a response from Bandai Namco Entertainment has put a damper on fan expectations for the time being. When a video and the images below started to make rounds online, Bandai Namco allegedly had the video taken down and told attendees that they were shown the wrong build of the game. EventHubs points out that Cervantes has been “leaked” several times now. An ESRB description of the game hints at the character, who also appeared in recent footage from gamescom 2018. We won’t be surprised if Bandai Namco eventually ends up confirming Cervantes and Raphael as they’ve been part of the series’ rosters since their first appearances in Soul Edge and Soulcalibur II, respectively. As usual, we’ll update our readers when we have more information. In the meantime, check out our previous coverage for information on officially announced characters. Soulcalibur VI is scheduled for release on the PlayStation 4, Xbox One, and PC on October 19, 2018.